Nothing beats a good ‘ol fashioned platformer game. 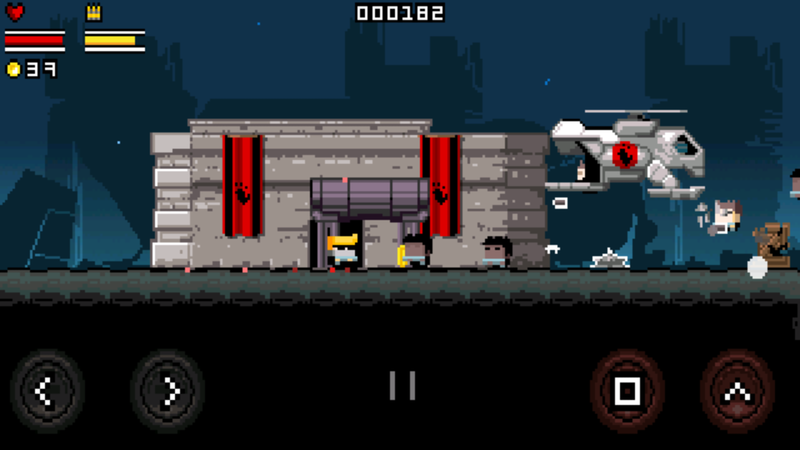 Gunslugs, from OrangePixel, combines great on-screen controls, a sweet soundtrack, and bitchin’ guns all to your mobile device. In terms of gameplay, it scrolls very smoothly and it just works. The controls are sized well and depending on your device, the buttons are spaced just right. There is a free version and pro version that has no ads. The free verison’s advertisements are somewhat annoying, but by no means intrusive. If you are into killing baddies, go pick it up.